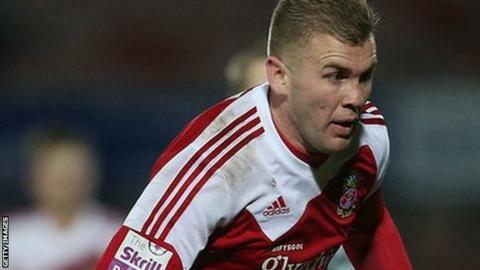 Wrexham are in the FA Trophy quarter-finals after a dramatic penalty shoot-out win at Gateshead. Louis Moult sealed the visitors' win with a fifth successful spot kick to earn Wrexham a tie at Halifax in the next round. Like Wrexham, Halifax's third-round game against Dartford has been postponed by poor weather, but they won 3-1. Wrexham and Gateshead were tied 2-2 at the end of normal and extra time.